We normally take a break from running courses over the summer – most people are more interested in enjoying some time off than attending an intensive week of study. But it was back to business as usual last week delivering the BOHS module M103 “Control of hazardous substances” in Chester. I’ll also be running the international version (the OHTA course W505) over in Ireland in a couple of weeks. 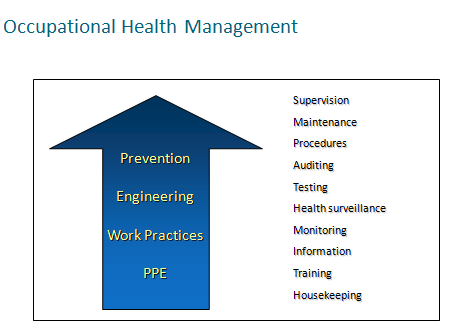 One of the key concepts we cover early in the course is the “hierarchy of control” – a tool used by occupational hygienists and other health and safety professionals to assist with the selection of control measures. It’s fairly obvious that some measures are preferable to others and the hierarchy formalises this idea by providing a structured list of common options in order of preference. The concept has been around since the 1930’s. 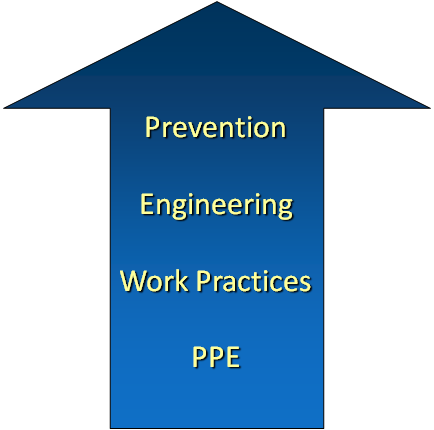 It appears to have been developed by the industrial hygiene community in the USA and then was adapted for broader health and safety risks. 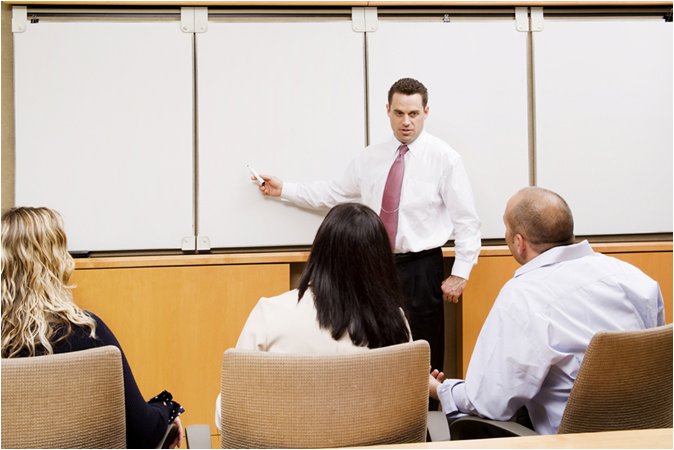 The underlying principle of the hierarchy is that the best way to achieve control is by addressing the source of the contaminants. If this cannot be achieved or does not resolve the problem then an attempt should be made to control along the transmission path. Only if neither of these can be achieved should the primary control measures be based around the workers themselves. Whichever approach is adopted, the same order of priority tends to result when specific measures belonging to the different categories are considered. there is a residual risk as, in most cases, an individual measure will not be 100% effective at controlling the contaminants. The latter point is particularly important. The best way to use the hierarchy is to start at the top of the list, considering each option in turn and deciding whether it is "reasonably practicable". Once a measure is selected, consideration should be given to whether the residual risk is acceptable. If not further measures will be needed. The process should be repeated until it is likely that the residual risk is reduced to an acceptable level. 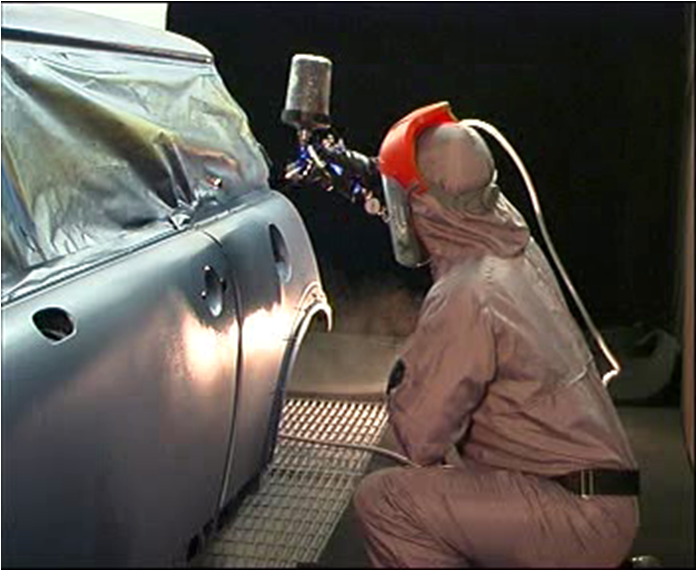 For example, a worker spraying a two pack polyurethane paints in a car body shop can be exposed to isocyanates and solvent vapours by inhalation and is likely to have some skin contact with the paint and solvents. In the real world it’s unlikely that elimination of the isocyanates by substituting a less hazardous paint would be feasible. 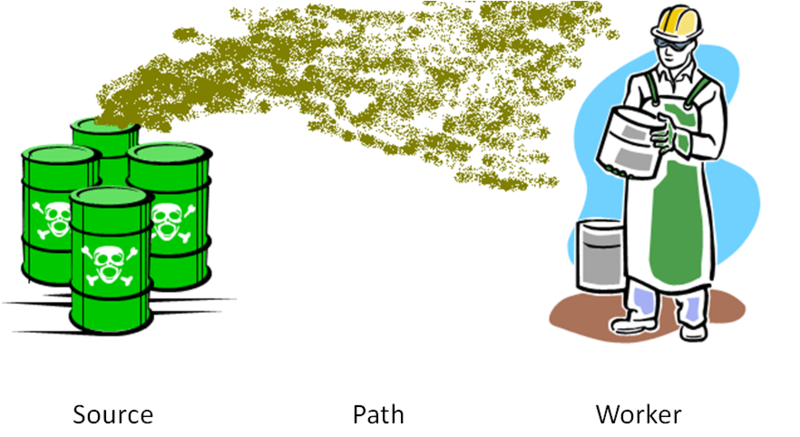 Similarly process automation and containment are unlikely to be practicable. So the first measure from the hierarchy likely to be implemented is local exhaust ventilation, normally in the form of a walk-in booth. This would probably be adequate to control the exposure of his colleagues, but as he has to be inside the booth he will still be exposed to high concentrations of contaminants. Consequently there is a significant residual risk, so other controls are needed. The sprayer would need to wear suitable air supplied respiratory protection and good working methods and safe working procedures would also be needed. Personal protective equipment and good working methods would also be needed to minimise skin contact. So a “suite” of control measures is needed to adequately control the risks. Once the appropriate controls have been selected, other measures will be needed to ensure they continue to be effective. I’ll return to this in another post in the near future.